An SSL Certificate encrypts information being transferred from your website to another server. All eCommerce sites use SSL encryption. Now the search engines have decided that websites not using an SSL will get ranked lower than websites that are using SSL encryption. Also browsers are starting to warn website visitors that the site is unsecure – scaring away your potential customers. Now every website needs an SSL certificate. Go to your current hosting provider and purchase an SSL from them and ask them to install it for you. What social media platforms work for video and what is the magic formula? This question was asked by Mikki – Your Water Lady. There is a magic formula. I am going to tell you what I use that works very well for me – so it is my “magic formula”. When I create a video I upload it to YouTube, then embed it on my website | blog. I then create a blog post by translating the information in the video into text for the post. I then copy that text and put it into the description of the video on YouTube. Then I upload the video directly to Facebook so that it will autoplay on the Facebook platform then I share from my blog to the other social platforms like Twitter. Mikki – I have both a personal and business Facebook page – is it taboo to put the video on both? I post to my Facebook business page then share the video to my personal timeline and that gets me the best results. Online Marketing Tip: Reviews are essential for getting an online presence. I have had customers that don’t even have a website collect tons of reviews on sites like Google and Yelp and they get leads directly from the reviews. Online reviews are extremely helpful in getting leads from Online Marketing. Question from the Talk Board – How do you engage in Social Media? If you are just lurking and watching people on social media – you are not really using social media. You are kind of being a stalker – so instead of doing that – if you want to get results – then you want to be sure you are creating thought provoking paragraphs with your posts. You want to engage in other people’s posts – like, share, comment. The engagement you do will help boost your social media presence. It will also encourage other people to take action on your posts. How important is it to have your website created by a professional? Question asked by Lani of Lani Watkins Hypnosis. That’s a great question. If I was remodeling my bathroom I would not watch a video on how to do it – but I would hire a professional to do the work. For building a website there are a ton of places you can go online and create your own website. But if you hire a professional you are hiring their knowledge. They can help you to optimize your site, they can help you figure out what content needs to be on the site and what does not. They can tell you what is trending in design and create something that would be more professional looking and hopefully perform better than if you created it yourself. You do not have all the knowledge that they have. Will they help with Google visibility or search engine visibility? They should have all the answers to help you with that – if they can’t then maybe you should find a different professional. Online Marketing Tip: Make sure everything you do is mobile friendly. In some verticals more than 80% of the searches are made from mobile devices. If your website is not mobile friendly you are missing potential customers. Our next question is from Tim Adams of Timato Productions – How do I keep up with all the social media platforms out there? I don’t – but there is more to it than that. It is essential that you know who your target market is and where they are already at – and engage in those social media platforms. For example if your market is professionals they may be on LinkedIn, but if your target market is consumer based like stay-at-home moms they are likely on Facebook. So figure out where your vertical is already hanging out and engage in that social media platform. Once you have mastered that platform if you want to add another go ahead. Short marketing videos have been so helpful for my business. You might ask, “what is a short marketing video?” It is a video that is 30-60 seconds long and it only has 1 topic in it. So whatever that one thing is for your business today go ahead and put that on video and upload it to YouTube, put it on your website, add it to Facebook etc. The big thing to remember is to only have one concept in the video. One your website and in social media be sure to use high quality images that represent you as a professional. I often have customers coming to me that provide low quality images. They are usually ones they have taken themselves and you can tell that they are low resolution, blurry, or just don’t look professional. There are a few websites I use to get high quality imagery – www.pixabay.com, www.pexels.com, and www.freeimages.com. These are all great places to get imagery for all your online marketing. Recap of last month’s podcast was marketing using Facebook. A few of the big points were: making sure you have a business page and not just a personal page. You are posting several times a week and also changing your cover images several times per week. Our next question is from Amanda – What is the best way to utilize tools like MailChimp for your newsletter marketing? I use MailChimp but there are about 5 big email marketing campaign companies out there – and they all work about the same. One thing I do want to say is that if you are not currently using a platform like MailChimp that you need to start doing that – they keep you spam compliant in your email marketing. The different platforms have email marketing templates you can use which will keep your email looking professional – and some of them allow you to embed videos right into the emails, which is why I use MailChimp. As far as what you want to say and the frequency that you send the emails out – what frequency are you currently using Amanda? We are sending once a month. That is a good frequency. The content of the emails – are you saying 1 thing or putting a whole bunch of things in the emails? Amanda – We are doing a newsletter format with several things. Dotty – The best results I have had are when I send an email with 1 or 2 items that link directly to a place online that allows you to track through your email system how many people clicked. The landing page should have a conversion tool on it – a call to action of some kind. I have found when I include many items that the emails don’t get click throughs or shared. If you are currently doing several items in your newsletter why don’t you try breaking it up and sending a newsletter every other week with just 2 items in it. Increasing the frequency while decreasing the length. Give that a try for a few months and see if you have better results. Success story of the week! I met with a local mortgage lender this week that was having some online marketing issues. They were curious why they were not showing up in Google Maps. We did a search for “mortgages Vancouver WA” and we looked through the results in Google Maps through 5 pages and they were nowhere to be found. 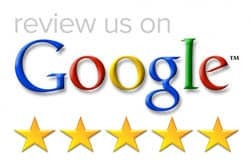 We looked at her Google My Business account and they had many more Google Reviews compared to their competition, and the account was completely filled out. I suggested to her that she add some images (they had none) and we made on other change. The website link had a tracking parameter after the link. We removed the “extra” stuff so the link went directly to the website. Saved the changes and opened a new browser to make the same search again. The result – they were in position 3 (which put them on the first page of the search results). This was an INSTANT result. I checked again 2 days later and they had moved up to position 2. Lesson learned – Google does not like tracking urls for a website link. Question from the Talk Board – How to know if I should manage my own website or hire it out? I am going to assume that you have had a website created already and you are wondering if you should update it yourself or hire it out. My answer is it depends – it depends on your knowledge and technical expertise on running a website and it depends on if your website is in a platform like WordPress which allows you to log into a dashboard and has editing tools. I am going to assume it is in WordPress and that you have some technical knowledge in updating a website. Figure out how much time you spend managing the website and how much is your time worth. Then you can determine if your business would be better off by hiring out that piece while you spend your time doing what makes you money. It comes right down to what will it cost you and how much would you make if you do what you get paid to do. Google My Business is a platform from Google that allows you to get your business listed in Google Maps. This is the only way you can get into Google Maps. To create the account go to Google and sign up (or log in if you already have a Google Account). They under the grid of dots choose Google My Business and register your business. Our next question is from Helen Avery from Cellar Door Wine Tours – How important is it to have a Google My Business page? That is a great question and I was actually briefly touching on it before you called. It is extremely important for a business to have a Google My Business page – it is the only way to get into Google Maps. Many searches are being done via mobile devices and if you are not in Maps you likely won’t show up the the mobile search results. The other cool thing is that Google moved all the Reviews into Maps so without a GMB page you cannot collect reviews for your business. Another great feature is that Google allows you to put in your hours, special hours, and holiday hours. This is a great feature for consumers – if they do a search and your business comes up it will show if you are open or closed. I can’t tell you how many times I have looked up a business to see if they are open, or find a phone number, and when I went there they were actually closed. This is very frustrating for your customers – and making consumers angry is not good marketing. Helen – is a easy for me to set this up myself? It is fairly easy. Once you are logged into your Google account go into the Google dot menu and choose Google My Business. Then register your business and get it verified by either phone or mail. Then just fill out the form – fill in all the fields they ask. Also be sure to upload a cover image and other photos. If you have several images then upload a few at a time and spread it out. Google likes you to come back and add information (like images) to you page periodically. You will get better results this way. Question form our Talk Board – are there training resources for learning how to use WordPress? That is a great questions – there are tons of resources online if you google a term like “How to Learn WordPress”. There are thousands of videos in YouTube that will show you how to use WordPress. But be sure you are only watching current videos. You might find one from 10 years ago that would not be relevant today. Question: How to include keywords in your post? That is a great question because many people do not understand that. If you think back to your high school years of English class and learning how to do Outlines for papers – that is the perfect format for a blog post. Start with a headline that includes your main keyword then have a supporting paragraph. Then have a subheading with another version of the keyword and another supporting paragraph. The paragraphs need to also contain supporting keywords. Thanks for all your questions for the second episode of AskDotty!